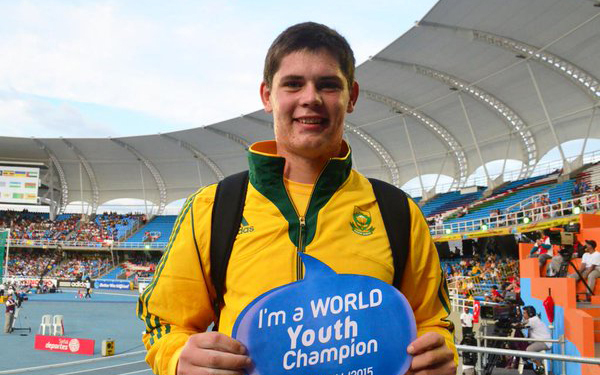 Werner Visser lives in Centurion, Gauteng and in 2011 he received the Sportsman of the Year Award, winning the Gauteng Championships in discus, at a very young age. From 2011 to 2014 he has been improving his results every year, receiving the Best Field Athlete and Best Individual Performance Award at school. In 2015 he made a big step forward in his sporting career with a distance of 64.81 m; in the process destroying Franz Kruger's provincial record. At the CGA Club Meeting he threw 65.30 m, becoming number one in the IAAF world youth ranking. 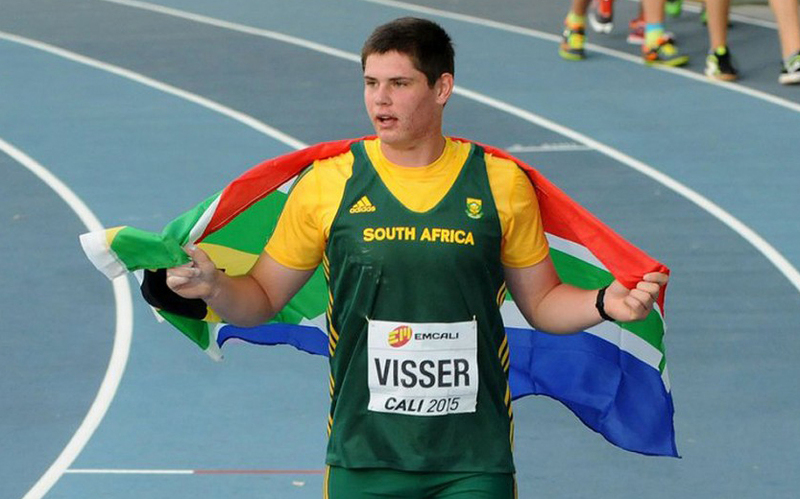 At the African Championships in Mauritius he won the gold medal with 64.88 m.
Lately, with a truly explosive release, Visser produced a huge 64.24 m throw in the third round, winning the gold medal at the IAAF World Youth Championships, Cali 2015. This was South Africa’s first gold medal in this event in the history of the championships. During 2015, Werner broke 9 records at various school meetings and other Top 10 meetings, as well as SA schools.